Bandai launched the Digimon franchise back in 1997, a name that comes from the contraction of Digital Monsters and that appeared as a virtual pet: Digimon Virtual Pet. However, it quickly started to generate other kinds of products such as the animes Digimon Frontier and Digimon Adventure, mangas, card games, toys, and obviously video games. By the way, people didn't take too long to compare it to Pokémon. 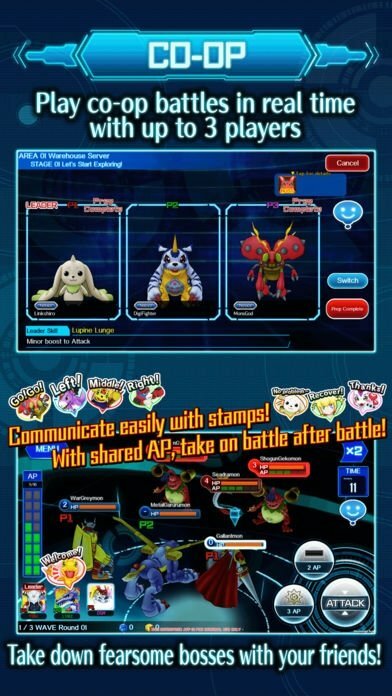 Amongst those video games, we now have to mention DigimonLinks that's here to join others of the likes of Digimon World or Digimon Heroes, and that's the iPhone and Android version of the role-playing game called Digimon Linkz, as it's known in Japan. If you're familiar with the universe of these creatures, you'll find it very easy to learn how to play... if, on the contrary, you haven't got a clue about Digimon and you can't see any differences regarding Pokémon, you'd be better off downloading Pac-Man. The fact is that you'll have access to the different creatures that are part of this ecosystem of digital monsters to catch them and raise them on your farm. There, you'll get them ready for combats, digievolving them to take part in collaborative 3 vs 3 battles. It's not as shabby as a hound fight but it's basically the same. However, here your goal is nobler as you have to try to prevent Digimon World from becoming unstable and fracturing. Who does Sora marry? Who does Mimi keep? Find out now! 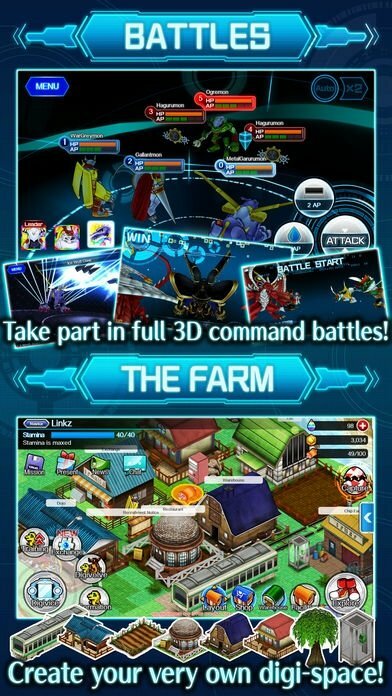 Create your farm from scratch and improve it with different labs and facilities. Train your creatures and put them up to other users online. 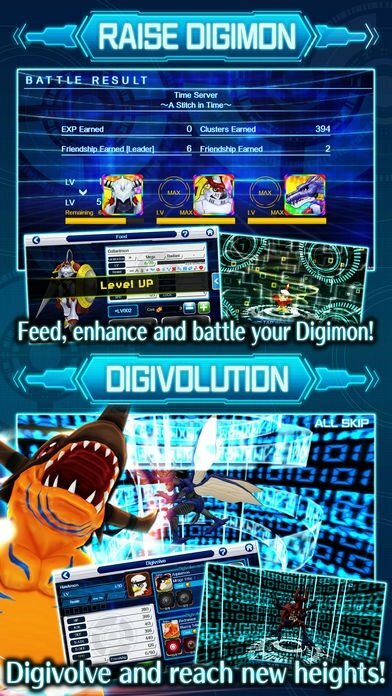 Train and feed your Digimons correctly to make them digievolve. Boost their attributes and improve their physical conditions. Take part in collaborative 3 vs 3 battles against users from all over the world. 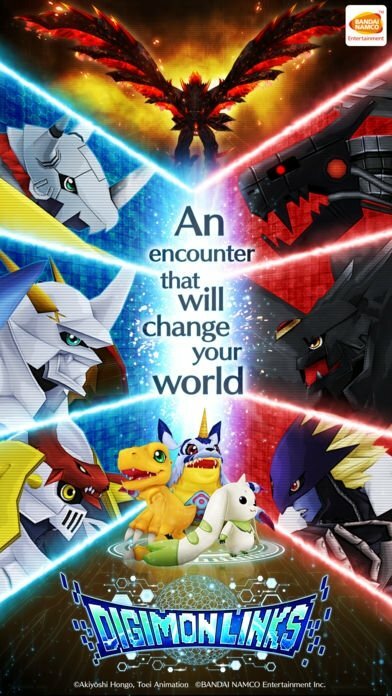 With regards to downloading this Digimon game for PC, well it's the same old story you've heard before. Try to get hold of its Android APK to be able to install it on Windows or Mac using an emulator. 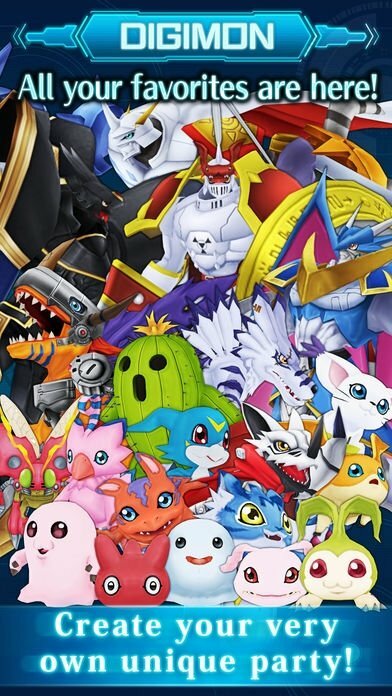 In the meanwhile, make the most of this version for iPhone and iPad, and take a good look at all these creatures... You might find out which Digimon you look like.